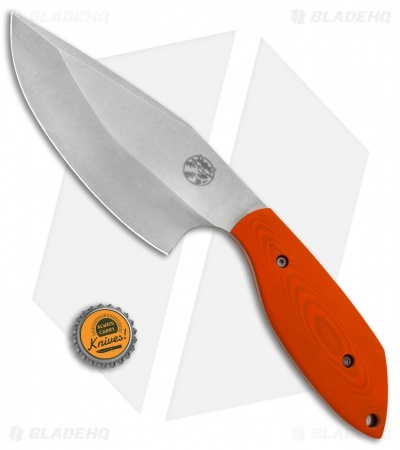 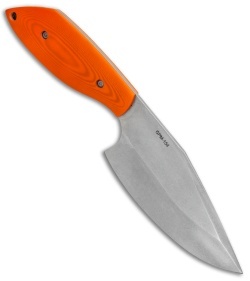 This Panda-1 fixed blade has a full-tang CPM-154 stainless steel blade and orange G-10 scales. 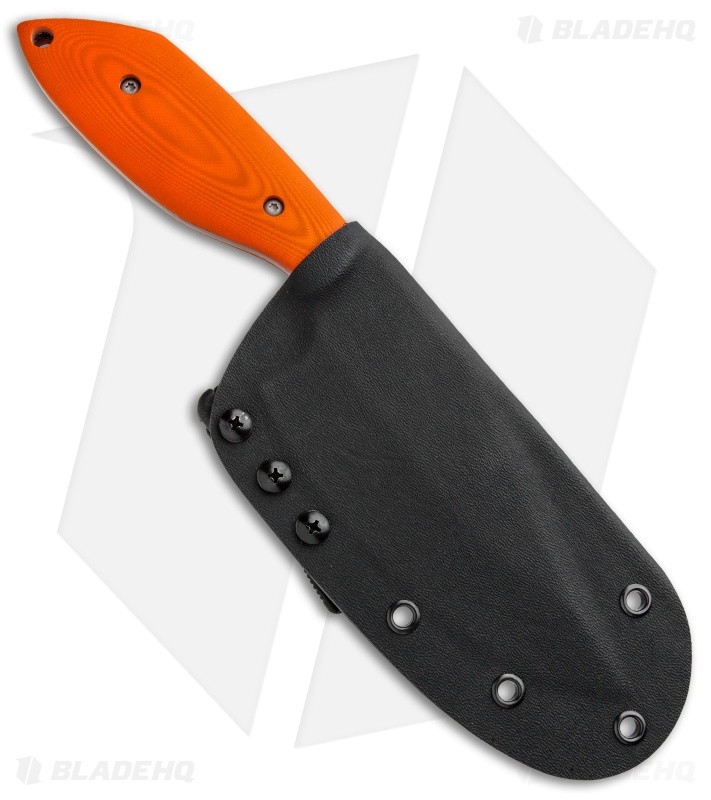 The Panda-1 from Trash Panda Knives features a large ulu inspired blade with a wide-bellied edge that'll make quick work of any natural materials encountered in the wild. Its slender handle is built with lightly textured G-10 scales, and shaped for enhanced grip security. Includes a custom Kydex sheath and a Tek-Lok attachment for easy carry.